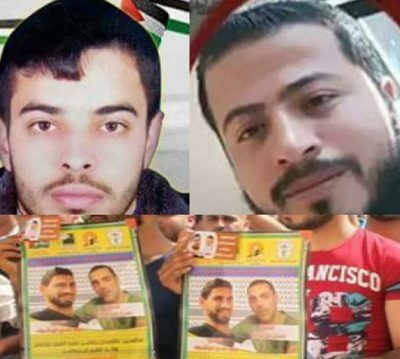 On the same day that Israeli authorities released from prison one long-term hunger striker, Bilal Kayed, the Israeli High Court decided not to release two others, Anas Shadeed and Ahmad Abu Farah. Both men have been on hunger strike for more than 80 days, and both declared on Monday that they will give up water beginning today, and are prepared to hunger strike until death. The two are being held under so-called ‘administrative detention’, which is the Israeli government’s euphemism for holding prisoners without charges for months and years on end. Both men have suffered severe health deterioration since entering on their extended hunger strikes in September. Their lawyer attempted to present the health conditions of the two men, but the Israeli High Court refused to hear that testimony. Medical reports have shown that Abu Farah and Shadeed may be facing organ failure or brain damage. Abu Farah has lost vision in his right eye.